Royal Jelly - "vitamin-rich rejuvenator & protector"
This legendary product from the beehive is produced solely for feeding the queen bee. Without it, the queen would be just another bee. 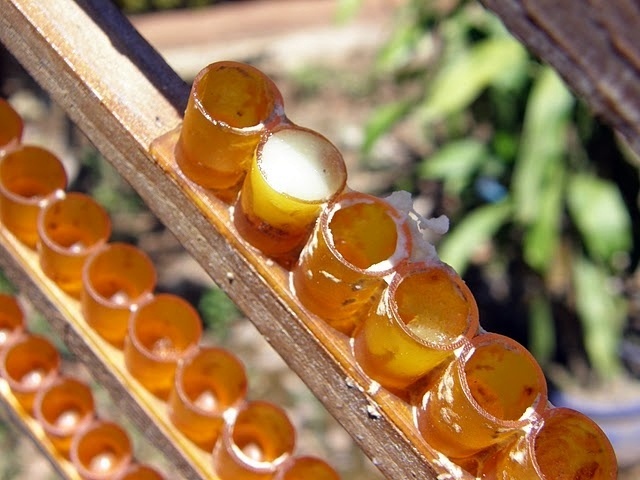 In fact, when the eggs hatch, those who are continually fed royal jelly will become queens. 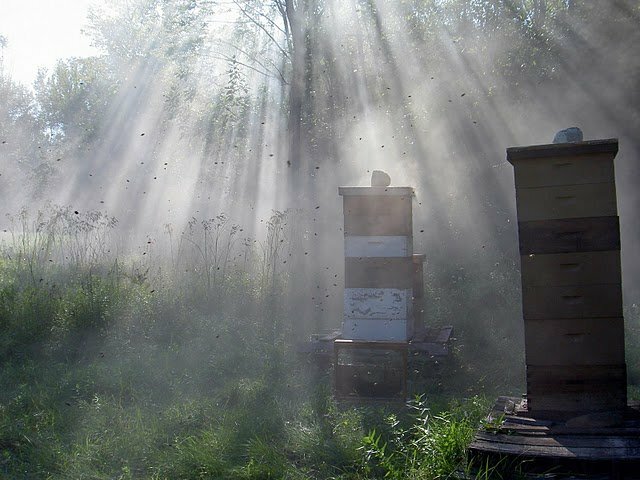 Those not fed royal jelly just become worker bees. She is fed royal jelly her entire life, grows 40 - 60% larger and lives about 4 to 6 years, while the worker lives about 6 weeks! Now add to the fact that the queen lays 1-1/2 times her own body weight in eggs a day (about 1,500) and you begin to appreciate this biological marvel! Royal jelly contains all of the B-complex vitamins, including a high concentration of pantothenic acid (B5) and pyridoxine (B6), and is the only natural source of pure acetylcholine. Royal jelly also contains minerals, vitamins A, C, D and E, enzymes, hormones, 18 amino acids and antibacterial & antibiotic components. It also has an abundance of nucleic acids - DNA & RNA - the genetic code which makes up life. Gelatin, one of the predecessors of collagen, is also found in royal jelly. Collagen is a powerful anti-aging element that helps preserve the youth of the body, particularly the skin. (For more detailed information on recent medical and clinical studies, visit our blog at http://beehealthyfarms.blogspot.com). Many reports have been made, both scientific and anecdotal, regarding the benefits of royal jelly. Steve Choi, C.N. (Certified Nutritionist) tells of royal jelly's powers. "It is reported to help in cell regeneration, inhibit the aging process, increase resistance to disease and help maintain skin tone & lustrous hair. It also is effective in treating different skin problems such as dry, scaly skin and acne. Royal jelly stimulates the adrenal glands and metabolism, giving more energy, rapid recovery from fatigue and enhanced sexual capabilities." Royal jelly comes in a variety of forms -- mixed in honey,capsules,tablets and refrigerated fresh royal jelly. Studies have shown that once royal jelly is harvested, it looses its nutrient quality after 48 hours. That means it is best taken in a freeze-dried condition or suspended in honey, where its nutritional value is preserved. For enhanced effects, you'll also find royal jelly blended into facial creams for direct contact to problem areas.